Swedes will head to the polls on Sunday in elections which are expected to see the far-right Sweden Democrats make historic gains. The current government, formed as a coalition between the centre-left Social Democrats and Green Party after the 2014 elections, could be unseated owing to the growing popularity of the Sweden Democrats and right-wing Moderate Party. Headed by incumbent prime minister Stefan Lofven, Social Democrats is Sweden's oldest party. While some polls suggest that it could remain the largest, challenges are mounting. After months of rising support, Sweden Democrats is currently polling at 24.8 percent, making the anti-immigration party the largest in the field, according to a recent YouGov tally. The party system in the country has undergone change and is undergoing change. For decades, the whole of that period has been about left against right. While confidence in the Social Democrats has slumped, the Left Party has reached nearly 10 percent in the polls and hopes to enter a potential coalition of left-leaning and progressive parties. With anti-migrant, far-right and populist parties garnering strong performances across the European Union thu s far in 2018, refugees have again become a central issue for voters. The Riksdag, Sweden's parliament, has 349 seats, which are decided through a proportional vote. Of that total, the country's 29 constituencies will decide 310 seats, while the remaining seats are divvied up to match each party's share of the total national vote. A party must receive at least four percent of votes to be assigned a seat. Representatives from eight parties currently have the 349 seats - Social Democrats, Moderate Party, Sweden Democrats, Green Party, Centre Party, Left Party, Liberals and Christian Democrats. While the centre-left is represented by Social Democrats and the Greens, a centre-right political alliance comprises the Moderates, Centre Party, Liberals and Christian Democrats. Both blocs are polling around 40 percent, with the left slightly in lead. Sweden has had a historically high voter turnout, with mo re than 85 percent of eligible voters casting their votes during the 2014 elections. That year, more than 2.4 million people voted early. 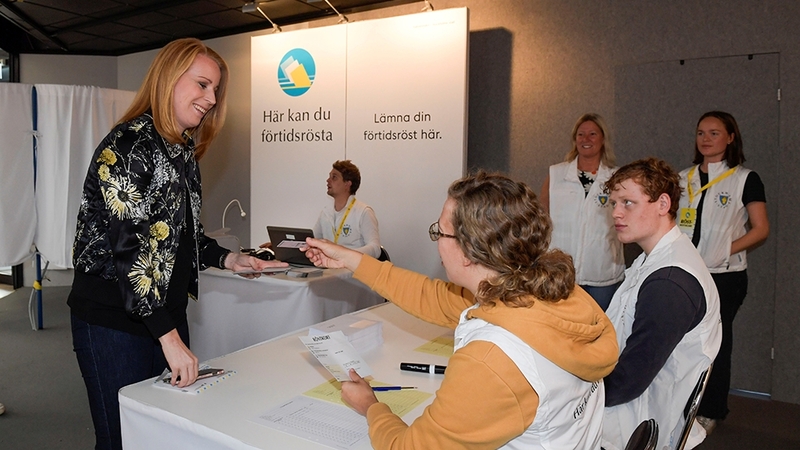 This year, according to a preliminary tally, upwards of 7.6 million people - slightly more than half of them women - are registered to vote in the Riksdag elections. Of that total, around 161,000 Swedes living abroad are eligible to vote. But unlike many European countries, residents without Swedish citizenship are entitled to vote in municipal elections. Where does Sweden stand on refugees? Sweden absorbed 163,000 asylum seekers in 2015, the onset of the refugee crisis, which saw upwards of a million refugees and migrants reach Europe. Sweden's long-held reputation as a liberal bastion in Europe has been challenged by the recent rise of anti-refugee sentiment, which has prompted the current coalition to impose stricter measures on the asylum process and border control. In May, the government announced plans to cut, almost by half, the number of refugees and migrants entering the country. At the time, Immigration Minister Helene Fritzon said Sweden should accept between 14,000 and 15,000 refugees a year, as opposed to the 27,000 it took in last year. "Even if the number of asylum seekers has dropped significantly in Sweden, it is significantly higher than [what it should be given] our population share in Europe," she told reporters at the time. Is the far right going to succeed? The Sweden Democrats, established in 1989, took just under 13 percent of the vote in 2014 and c urrently hold 42 seats in the Riksdag. Campaigning on anti-refugee positions and a pledge to crack down on crime, the party's popularity has swelled during the lead-up to this year's elections. 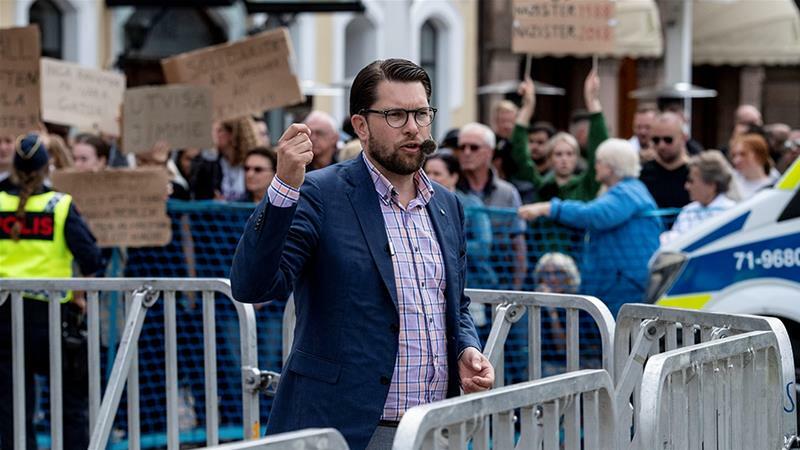 In the past, critics have lambasted the Sweden Democrats' links to neo-Nazi and white nationalist groups, something its leader, Jimmie Akesson, has argued is no longer an issue. In its official platform, the party says its anti-migrant policies are driven by "love and confidence in our country". "If we are the second biggest or biggest party in parliament and the other parties still believe we can be ignored, and pretend we don't exist, then we must flex our muscles," Akesson told Reuters in an interview earlier this year. While hardline calls to freeze migration drew fresh support, Sweden Democrats' promise to hold a potential EU referendum has been less popular. Former Prime Minister Carl Bildt described the proposed referendum as "the biggest single danger to Sweden's future prosperity". Nicholas Aylott, an associate professor of political science at Sodertorn University, said the rise of the Sweden Democrats reflects a "disruption" of the country's political tradition. "[The] party system in the country has undergone change and is undergoing change," he told Al Jazeera. "For decades, the whole of that period has been about left against right." Speaking of the Sweden Democrats potentially entering a coalition, he added: "It wo uld be an absolutely enormous change, a huge event in the country's political history." How has crime become a campaign theme? 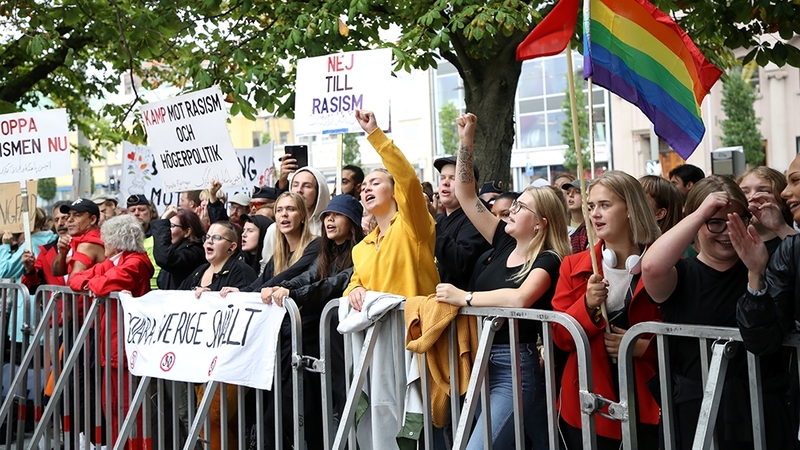 A wave of crime has impacted the election discourse, especially after the August 13 torching of some 80 vehicles in Gothenburg and other towns. "Society will always act hard against this and we must continue to do so â¦ We will do what needs to be done to take care of it and go in hard against this crime," Lofven, the prime minister, told Swedish radio at the time. In the last two years, dozens of people have been killed in what was described as gang violence in Stockholm and other large cities. According to official statistics, 129 shootings took place in Stockholm in 2017 and 19 people were killed, nearly twice the number of those who died in similar incidents the year before. The government responded by calling for harsher punishment for gun crimes and sexual assault. In early July, political leaders announced "crisis talks" with police over the escalating violence. With fears of violence spreading, Sweden Democrats seized the opportunity to link immigration and crime, arguing migrants are responsible for the rise. 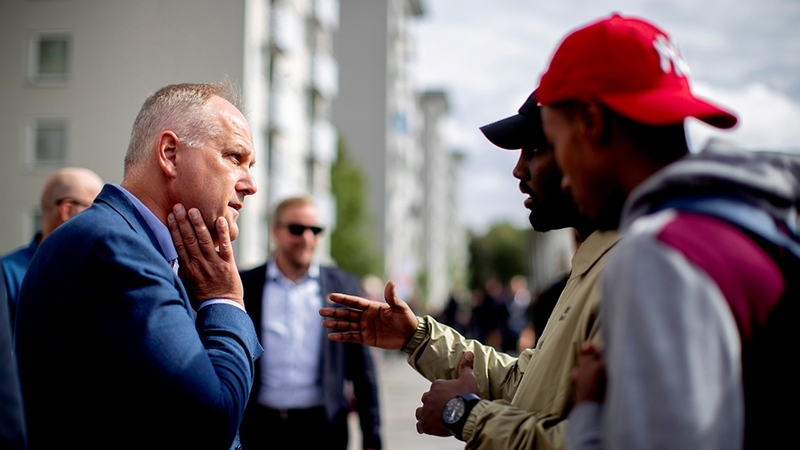 In its online platform, the party argues that "serious crimes should [receive] severe punishment and that foreign citizens who commit crimes in Sweden should be expelled". Why is climate change a central issue? Climate change thrust into the public discourse after the country endured wildfires and record temperatures throughout the summer. The Green Party, wh ich entered a coalition with the Social Democrats after the 2014 elections, has pushed for environmentally friendly policies and measures against climate change during the last four years. By 2050, Sweden hopes to create a society with no net greenhouse gas emissions, and the country leads the EU in climate ranking, according to an international survey published in June. 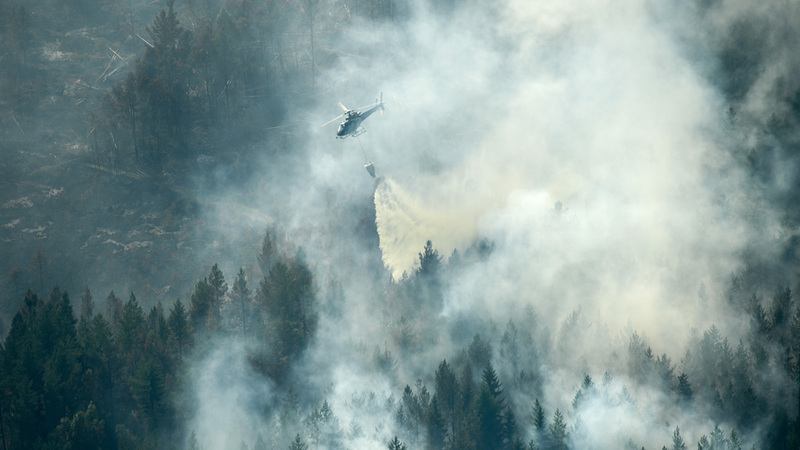 The Sweden Democrats expressed scepticism, and its leader, Akesson, criticised other politicians for calling for extensive measures after what he described as "one summer" of hot weather. The far-right party has also vowe d to introduce cheaper petrol prices. Other key issues in the election include healthcare, education and the country's social welfare system.